VMWARE - Best IT solution provider company in Melbourne. 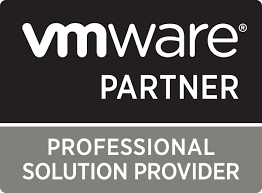 Source Central are proud of our partnership with VMware. As a Professional Solution Provider, Source Central have integrated VMware into many clients environment, including EDU, Corporate and Not For Profit. VMware virtualises computing, from the data center to the cloud to mobile devices, to help our customers be more agile, responsive, and profitable. VMware allows for servers to be ‘virtualised’, reducing hardware and ongoing maintenance costs. By creating an environment with numerous server hosts on one physical device, VMware creates new efficiencies in your server hardware, utilising previous under used capabilities.